The Indigenous People Of Biafra under the leadership of Citizen Nnamdi Kanu, recorded another victory as IPOB Legal Team secures an Unconditional release in the High Court Of Rivers State, for Twenty One(21) Biafran detained victims in Ahoada and Degema Prisons. The Biafran activist are victims of the Nigeria Army Operation Python Dance declaration, who were illicitly arrested by the Nigeria Police on the 13th of September 2017, at Obigbo Local Government Area In Rivers State. The victims were repudiated Bail in the Rivers State Magistrate Court Nigeria on their first arraignment, as Chief Magistrate A.O Amadi denied having the jurisdiction to either grant Bail nor strike out Charges, hence transferred the matter to the Director Of Public Prosecution (DPP) for advice. 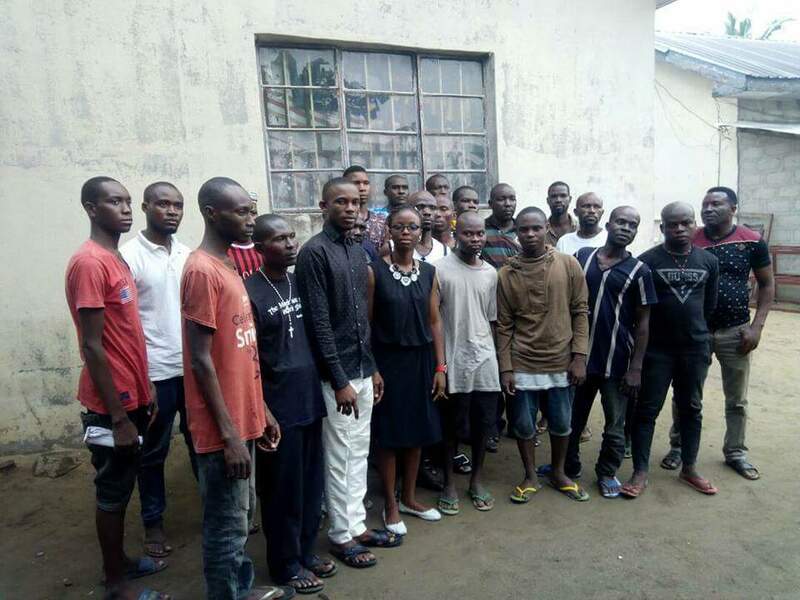 The Court ordered that the accused be remanded in the congested PortHarcourt Maximum Prisons, but the Prison officials transferred the detainees to Ahoada and Degema Prisons, as LODGERS. The Legal wing of IPOB, filed the Bail Applications in Rivers State High Court and repeatedly countered the charges facing the accused. The Prosecuting counsel O. Gbasam, Esq. Principal State Counsel, Rivers State Ministry Of Justice, PortHarcourt with D. Reason-Onyia, Esq State Counsel for Respondent, who claimed the possession of Evidence against the accused, was ordered to provide his documented Exhibits, which was not provided but rather they beseeched for adjournments. –This Application Is Granted And I Hereby Order that the Applicants be released forthwith unconditionally from the Ahoada Prisons or any other Prisons where the Applicants are being detained. The victim in their large numbers, appreciated IPOB led by Citizen Nnamdi Kanu, for the abutment shown to them, while awaiting trial for Seven Months. There Medical, Feeding and Legal bills was footed by IPOB, until their release. Transportation back to their various destinations was as well accorded, as they excitedly reunited with their relations, with a loud reaffirmation of supporting and agitating for Biafra, until she is restored.